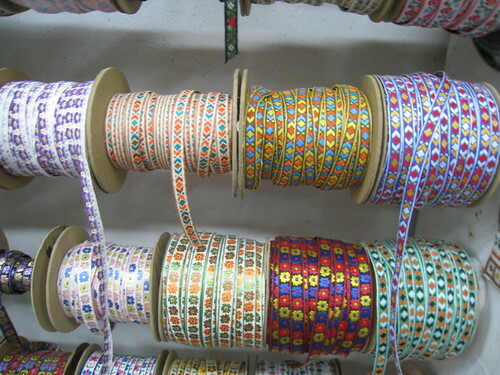 One of my favorite place to go for inspiration are ribbon stores. Daytona Trimming has a great selection and often prices are cheaper then M&J’s superstore around the corner. 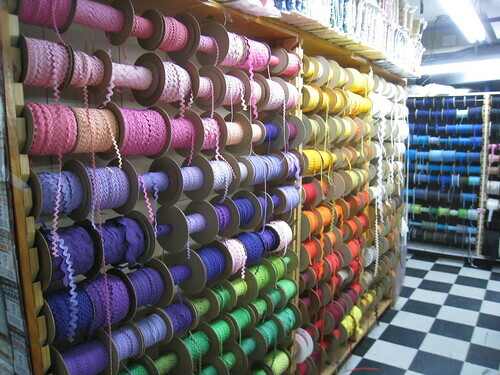 Aisles are full of floor to ceiling spools of ribbon. I love all the color and pattern. Resisting the temptation to buy out the whole store can be trying. 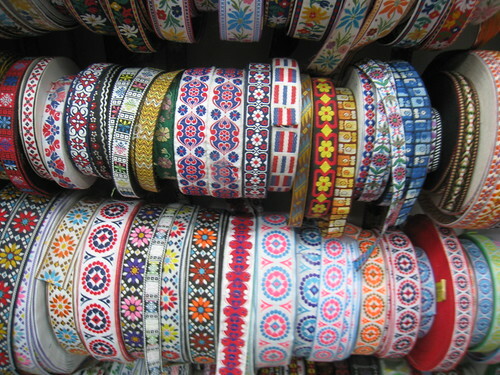 Decorative ribbon can be used for all kinds of different craft projects. 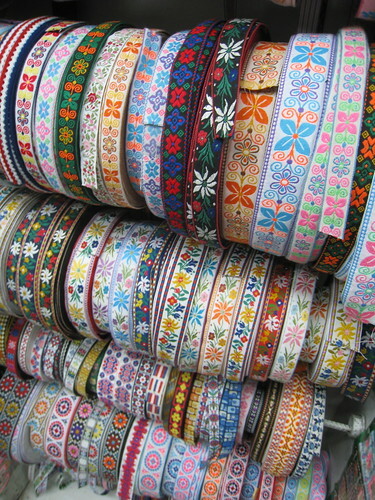 I love it as a border on curtains, sewn onto white sheets, glued onto a lampshade, or sewn onto the bottom of a bedskirt. The possibilities are endless. Prices range from about $.99-$12.99 a yard. See more images I took by checking out my flickr photostream here. oooooooooh I miss this store sooooo much, can’t wait to get back to New York for a shopping trip. You would need to call or visit the store for purchasing information. IF you prefer ordering from an online store try M & J Trimmings. Thank you so much for the ribbon display! It certainly beats anything I have been able to find. 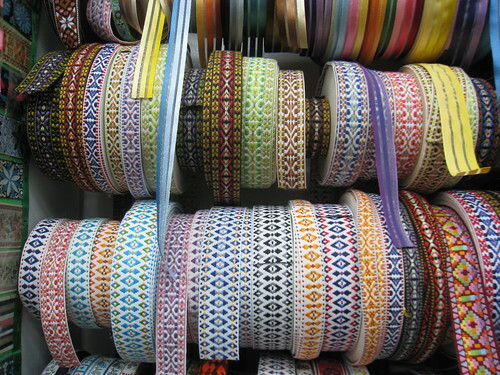 Is there a way in which I could actually buy one/some of those beautiful ribbons? I’m not exactly sure about how I might proceed. I like saying that with an Irish lilt like the soap commercial. I do love your blog and love the daytona. some of those straps remind me of the hippy days with guitars singing joni mitchell and neil young songs. and i love the eidelweiss strapping. I love your blog too!! I sure hope you find cool stores like this in the Boston area to share! Oh, the photos on this post are delicious! I adore your blog! What a find!